Rome. Novomagius, Britannia, AD75. Falco (the spy who came in from the cold) is in cold, cold, cold Old Britannia, with memories to boot. It was here that he first met Helena Justina. Falco arrives at Fishbourne and starts by investigating corrupt practices. 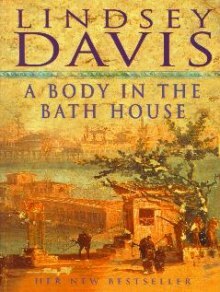 However events quickly take a turn for the worse when the Chief Architect is found murdered in the bath-house of the British King. Falco takes over the project and investigates the killings.